The tree of life is a popular folk art icon in Mexican culture. 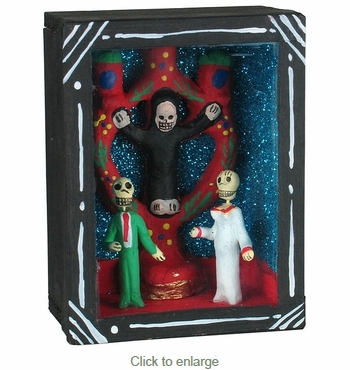 It is shown in this Day of the Dead diorama with miniature skeletons. This festive scene is handmade by folk artists in Mexico using clay and a painted wood box with a glass cover.